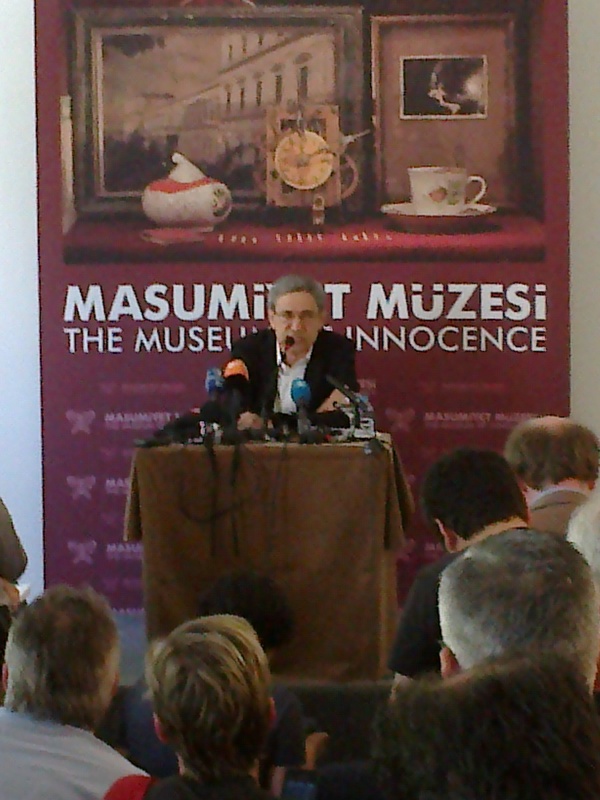 Nobel prize-winning Turkish writer Orhan Pamuk realized a long-nurtured dream on April 28th with the opening of an actual Museum of Innocence as depicted in his 2008 novel of the same name. The Museum of Innocence is housed in an old, wine-red building in the Çukurcuma neighborhood in Istanbul. The museum displays real and fabricated artifacts from everyday Turkish life between 1950 and 2000, in homage both to the novel and to Pamuk’s beloved native city. At the entrance of the museum, visitors can see a wall of the cigarettes that Füsun, the protagonist of the novel, smoked in the novel. The first and the second floors are filled with 83 displays for each of the 83 chapters of the novel. Finally the bed of Kemal is to be seen in the attic. Pamuk started to collect the objects before he wrote Museum of Innocence and he continued to collect them while writing the novel. And also after the completion of the novel, he added some objects to the Museum. “As far as I know this is the first museum based on a novel,” he said. “But it’s not that I wrote a novel that turned out to be successful and then I thought of a museum. No, I conceived the novel and the museum together.” In addition to those, the catalog titled The Inoocence of Things is published in Turkish and it will be released in English in Autumn 2012.